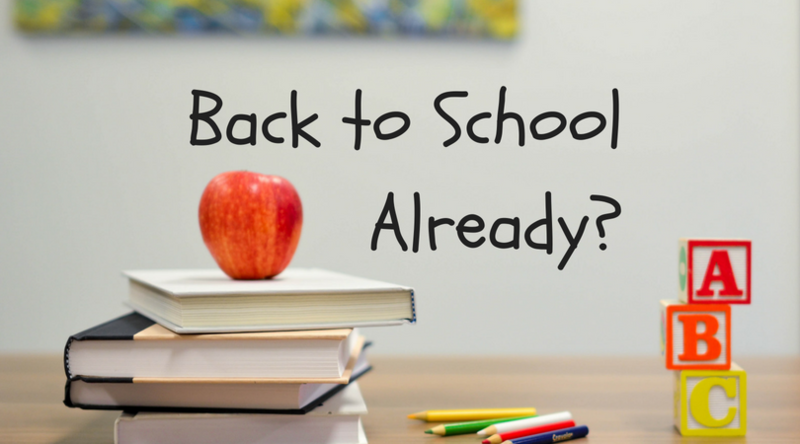 BillCutterz » Money Saving Articles » Back to School Already? Is it just me or did summer just start? Here we are, already thinking about sending the kids back to school. What happened to school starting the day after Labor Day? I can’t change it, so let’s start talking about how to get ready for it. There is probably a list of supplies you have to buy your kids and that can get expensive. To save a bit, ask other parents if they want to go in on bulk supplies from a warehouse store. For instance, most supply lists include Kleenex, notebooks, and glue sticks; all are available at Sam’s Club or Costco. Another option is to check at office supply stores, big box stores, or through the school itself to see if a bundle is available at a discounted price. August has sales tax free weekends for back to school clothing and supplies in many states, here is a list that shows all of them by state. If it says ‘clothing, $100’ that means single items up to that price; more expensive items would still be taxed. There is no limit on the total you can spend, however. Shopping online will also be tax-free based on your shipping address, so it’s possible to avoid the lines and still save money. It’s time to pull out last year’s school clothes and sort them out. Look them over to see if they are in good condition and still fit. If they look good but don’t fit, consider a clothing swap with other families, donating them, or selling them. If they are in poor condition it’s probably time to dispose of them. Remember, if you wouldn’t let your child wear it a charity doesn’t need it. I have mentioned in the past that spreading out school clothes shopping means that your kids get new things later, plus they won’t have exactly what everyone else has. Check out websites like The Krazy Coupon Lady, PennyPinchin’ Mom, and The Penny Hoarder for deal alerts. If you are interested in buying gently used pieces, thredUP, Poshmark, eBay, and consignment stores are great resources. You can’t be with your kids 24/7, so it’s important to teach them to be safe. The National Safety Council has a great list of basic safety tips to share with your kids and teens. All of the tips stem from teaching your kids to stay aware of what’s going on around them, and that is important for all ages, even adults. If you choose to pack your kid’s lunches, coming up with ideas for healthy, affordable options that your kids will eat is a challenge. I can’t help you with picky eaters, although I can tell you I was one and now I eat almost anything, so there is hope for the future. For lunchbox ideas that don’t involve sandwiches, try this list. If sandwiches are more your speed, here are some twists on fillings that will add some variety to your rotation. BillCutterz can’t do your shopping for you but we can get you the best prices for services that your kids might need for school like internet & cell phones, or many other monthly bills that make your life easier. Take a few minutes to sign up and submit your bills, and let our team of Savings Experts go to work getting you the best prices possible.